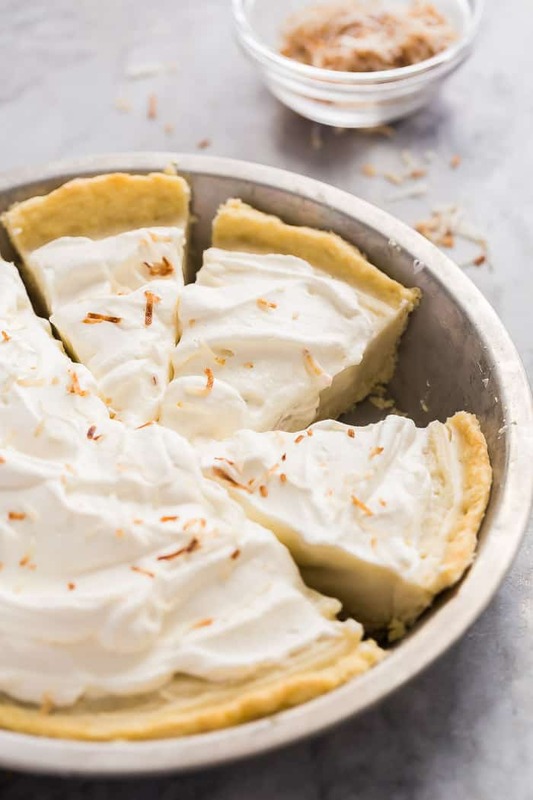 This Coconut Cream Pie recipe is made from scratch and well worth the effort! 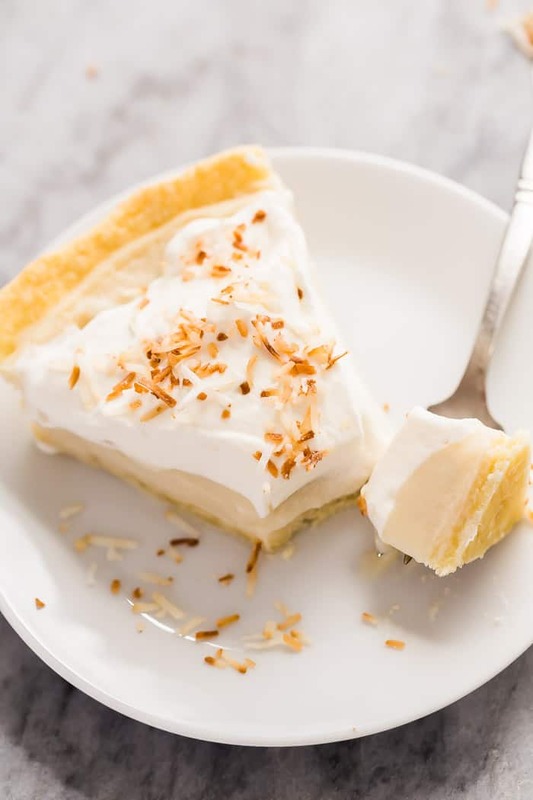 It's made with a creamy coconut custard filling and topped with sweetened whipped cream and toasted coconut. 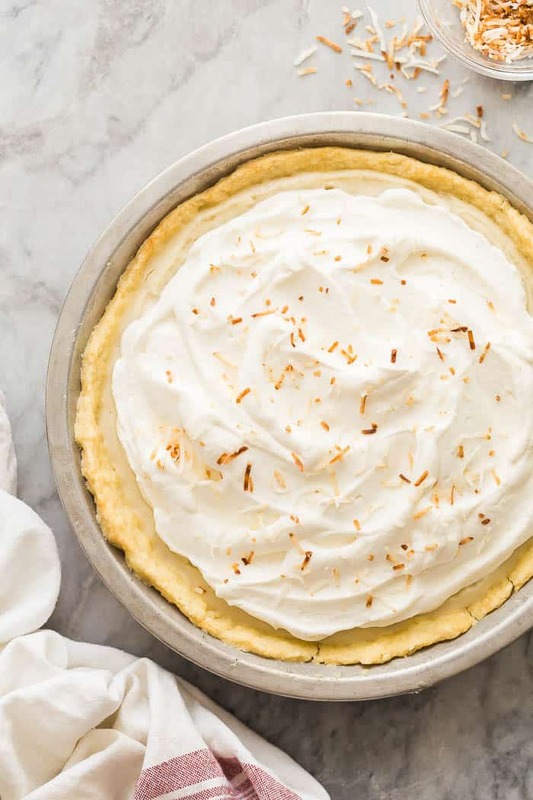 Roll out to fit a 9" pie plate. Cook over medium heat, whisking frequently, until very thick. This can take up to 10 or 15 minutes -- be patient! You don't want to increase the heat too much and risk a lumpy filling.